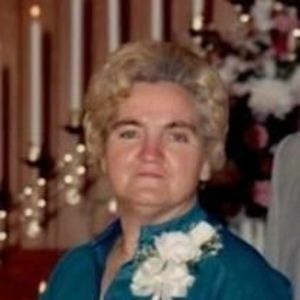 Harmony- Mrs. Doreatha Ann Reavis Johnson, 81, passed away on Saturday, January 20 at Iredell Memorial Hospital. She was born April 12, 1936 in Yadkin County the daughter of the late Silas and Elisha Watson Reavis. She was a Christian mother, who loved gardening, cooking, sewing, and spending time with her family. She loved animals especially her dog Cody. In addition to her parents, she was preceded in death by her husband, Ralph Leon Johnson. Two sisters, Sally Sue Booe and Shirley Milton. Three brothers, Glenn Reavis, Edward Reavis and Samuel Reavis. Left to cherish her memory is her son, Danny L. Johnson (Cindy) and daughter, Kathy Davis. Four grandsons, Shane Davis (Hollie) of Harmony, Andy Davis of Olin, Daniel Johnson and Hunter Johnson both of Hamptonville. Brother, David Reavis of Advance. Pearl Grubb (Levan) of Advance and Louise Jones (PeeWee) of Lexington. Also, five Great-grandchildren. Funeral Services will be held at 3:00pm in the Westmoreland Chapel of Bunch-Johnson Funeral Home with Pastor James Lewis and Pastor Darren Johnson officiating. Burial will be at a later date. Bunch-Johnson Funeral Home is proud to be serving the Johnson family at this time.